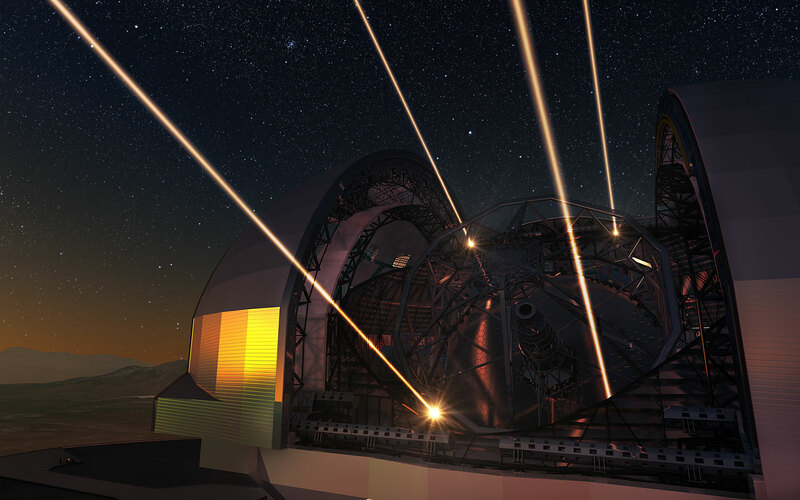 As part of the Austrian contribution when it joined ESO, a specialist team from institutes in Linz  has developed adaptive optics algorithms and software methods that are much faster than those using more traditional approaches. These methods are used for the correction of images that are degraded due to atmospheric turbulence — and are in particular intended for use with the future 39-metre European Extremely Large Telescope (E-ELT). The challenging goal was to invent a new and different approach to this problem that is as effective as current techniques while, at the same time, greatly reducing the computing load on the computer that performs the calculations. This four-year project has just completed a very successful final review. The new adaptive optics algorithms are very fast and provide excellent quality results. This leads to enormous savings in computing power required to handle adaptive optics data from the E-ELT. But probably the most significant achievement of this study is to make the control of those systems manageable with computers of reasonable size and cost and, in the case of more extreme kinds of of adaptive optics, to bring such a complex system into the realm of feasible implementations. The new algorithms were developed by Institute for Industrial Mathematics of the University of Linz, Johann Radon Institute for Computational and Applied Mathematics (RICAM) and Industrial Mathematics Competence Center (IMCC) in Linz.